iTunes Radio is only six months old but it’s already snagged third place among people in the US who listen to streaming music services, at least based on a recent survey. Polling more than 2,000 people in the US, Edison Research found that 8 percent listened to iTunes Radio in the past month. That compares with 6 percent overall for Spotify and 9 percent for iHeartRadio, according to a Statista chart chewing over the survey results. 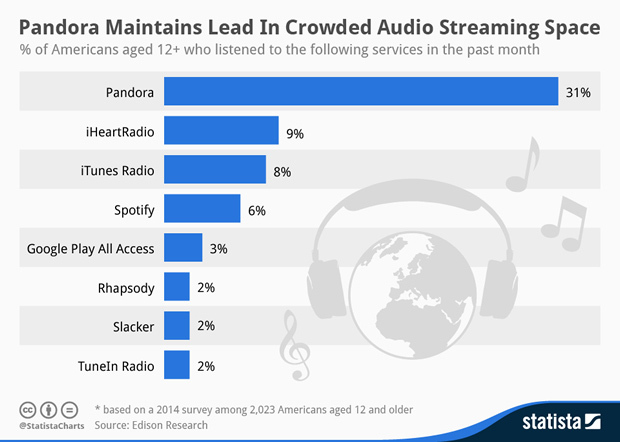 Pandora is still by far the dominant streaming music service in the US with a 31 percent share based on the survey. 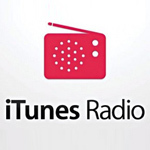 Launched last September, iTunes Radio won over 20 million users by just a month later. Pandora holds more than 70 million active users in the US, New Zealand, and Australia. But it’s been around in one form or another since 2000 though it officially debuted in 2005.